Laser Biometry is a diagnostic procedure used to measure the shape of the cornea and the length of the eyeball prior to surgery. 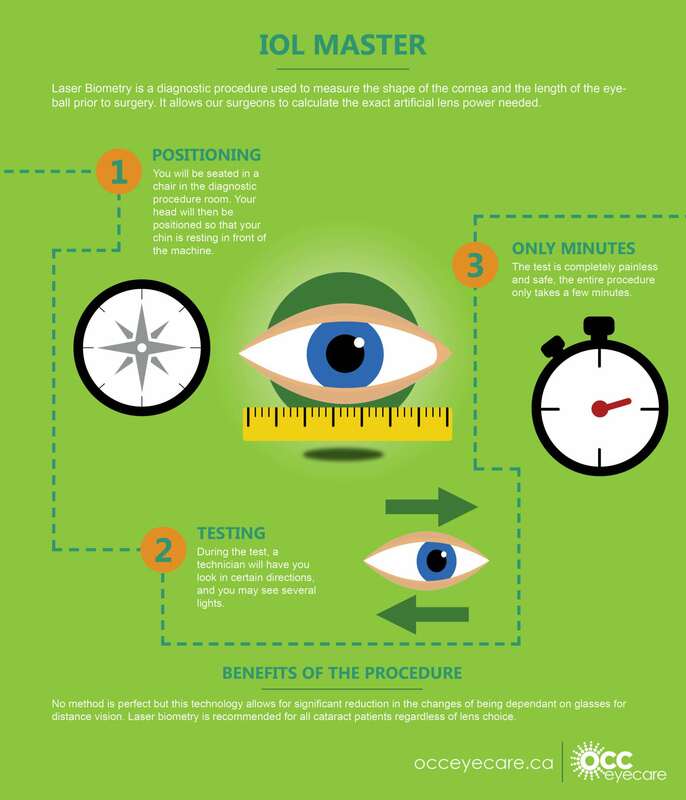 It allows our surgeons to calculate the exact artificial lens power needed. You will be seated in a chair in the diagnostic procedure room. Your head will then be positioned so that your chin is resting in front of the machine. During the test, a technician will have you look in certain directions, and you may see several lights. The test is completely painless and safe, the entire procedure only takes a few minutes. No method is perfect but this technology allows for significant reduction in the changes of being dependant on glasses for distance vision. Laser biometry is recommended for all cataract patients regardless of lens choice.